Selected white truffle ( Tuber Borchii Vitt. ) preserved in brine. COLOR: Balls of various sizes light coloured. INGREDIENTS: Bianchetto truffle ( Tuber borchii Vitt. ) 50%, water, salt. USEFULL INFORMATIONS: Use in the same way as the fresh product, preferably by gently frying in extra virgin olive oil and a crushed garlic clove, making sure the preserving juice is used too,either on its own or integrated with champignon mushrooms, extra virgin olive oil or butter Use preferably by intergrating with other sauces and/or creams made of truffle. As a condiment for first pasta courses; meats, fish, boiled vegetables, eggs, warm “ bruschetta “. Also for: stuffings for meats and pasta courses. 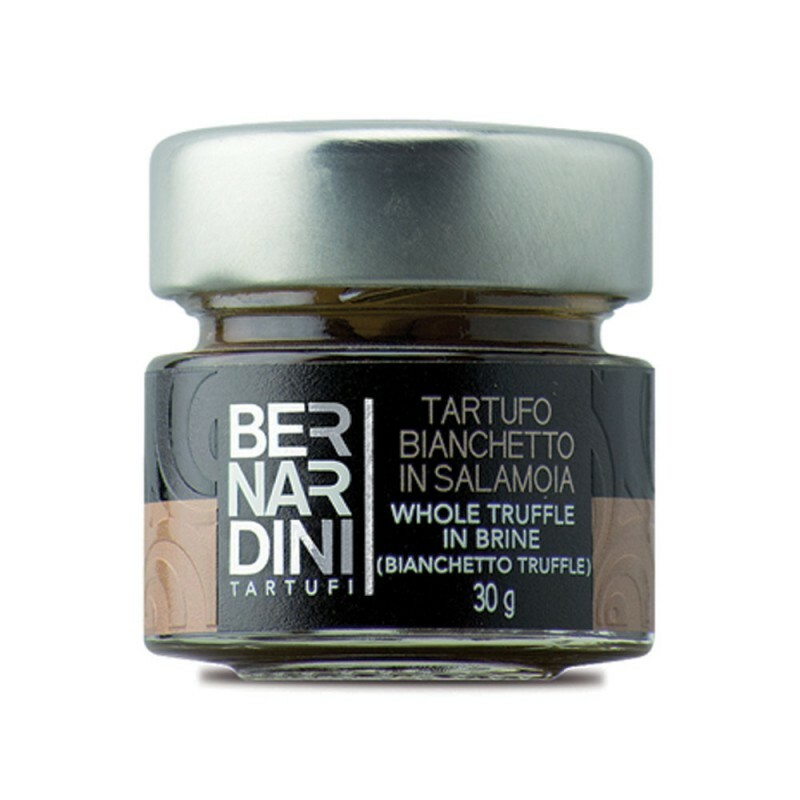 TASTE: Strong and pungent taste, tipical of the bianchetto truffle.